Search Restaurants, Bars and Clubs that have been reported for serving Tainted, Counterfeit and Fake Alcohol. It happens often! Be aware and use SafeProof.org to report and track liquor enforcement. Do you suspect Fake, Tainted or Counterfeit Alcohol? 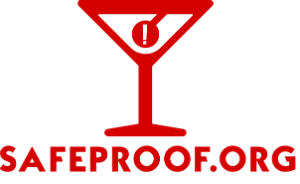 Report illicit alcohol from a Hotel, Restaurant, Bar, Casino, Store or Club on SafeProof.org anonymously. The most dangerous illegal liquor practice. 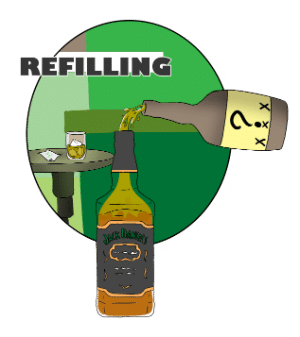 An establishment will refill the liquor with fake alcohol. A simple but illegal practice of switching a premium ordered spirit with a well or lower grade option. Liquor tampering is an under reported crime and treated by consumers simply 'as bad drink'. But the real consequences can be life changing and deadly! Our organization needs an active visible and anonymous community to help identify fraud liquor and keep consumers safe.